create a unique shopping experience for all. 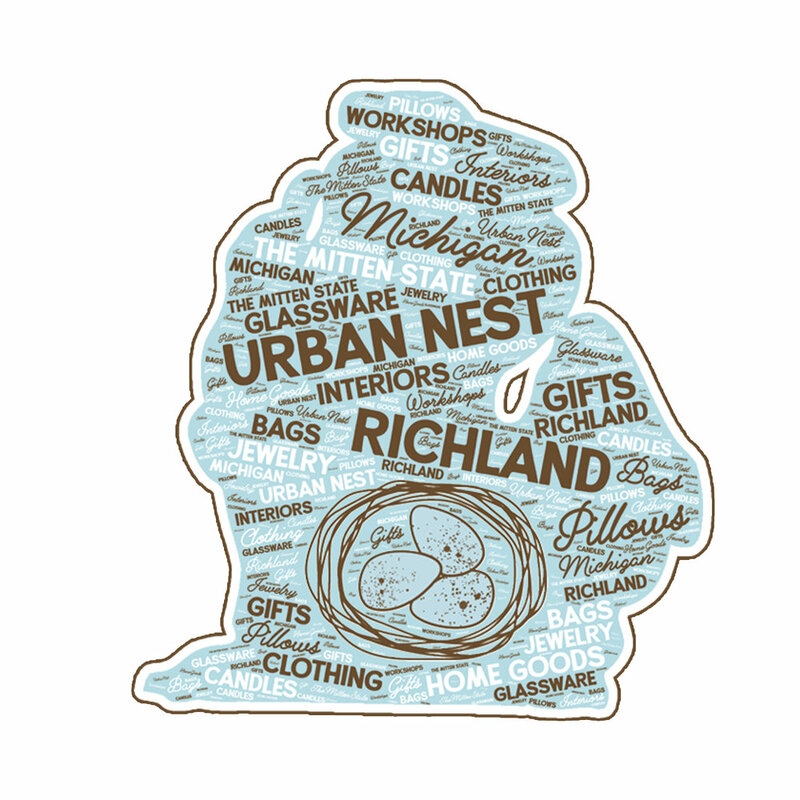 Urban Nest is the brainchild of Carri Kistner of Richland, MI. She and her husband Bryan have always had a passion for household ‘projects’, whether it was refurbishing family heirlooms, building furniture for different areas of their home while collaboratively creating ‘one of a kind’ signature looks. Carri was eventually able to turn her life long love of creating into a business thru Etsy. The Etsy marketplace was a great place to build a loyal customer base while at home, proverbially raising her own 'nest'. She started out crafting and creating as a young girl with her beloved great Aunt, who first taught her how to sew, latch hook, and various other projects. Carri's grandmothers both loved crocheting and luckily she paid attention-she learned from the best! The makers tradition in her family still continues today with aforementioned Aunt’s family in Cleveland through ‘Girls Weekend’ crafting trips. Carri currently produces machine embroidered goods such as: baby bibs, burp cloths, and hand towels. In her collection, you'll find ‘Mitten’ pillows, ‘Mitten’ etching on all kinds of glassware and a deep portfolio of Michigan inspired artwork. It seems that just as fast as Carri and Bryan's family nest was built it has emptied...but the creating certainly continues. Only now, you can come see it for yourself. Dreams turn to reality with the opening of Urban Nest - Richland's newest and coziest home store. A culmination of every design element, color, texture, and style under one roof. Interiors + Gifts + Workshops. Fear aside and caution to the wind.....let's build this Urban Nest together.